The company, owned by the Spies family, has years of experience, and ‘our competency, knowledge and excellent service is well known’. The business was started in 1985 and is currently run by the third generation. They know the area like the back of their hands and take tourists to incredible sites of which only they know about. 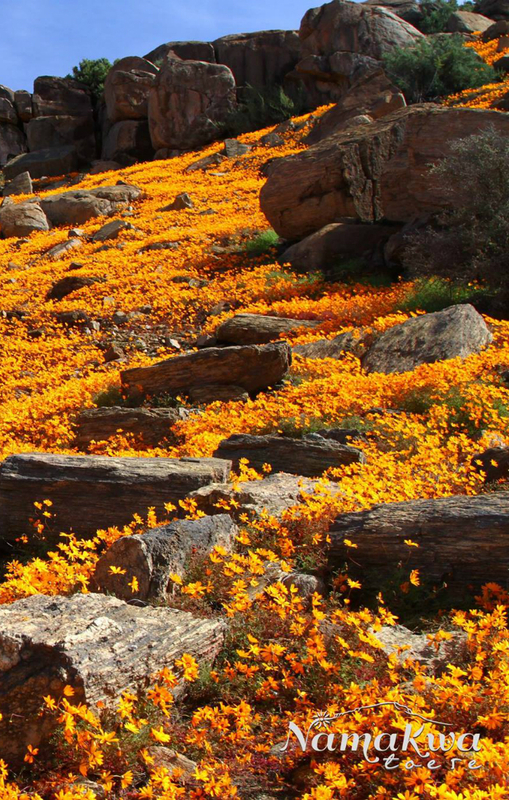 Unforgettable Experience an unforgettable journey to the untouched West Coast and Namaqualand. Luxurious transport Tourists travel with luxurious bus transport in order to relax and enjoy the natural surrounds. Delectable food Our dinners and breakfasts at Namaqualand Lodge are the most delicious buffet meals. Unique routes Every flower tour showcases only the prettiest flowers and the best attractions. Skilled tour guides We guarantee only the best, kindest, most helpful and qualified tour guides! Hospitality We receive the same feedback year after year. Most say they return for our hospitality. Namaqua Tours offers tours to different regions in South Africa and even Namibia. Their tours include flower tours, West Coast Cederberg tours, hiking tours, photography tours and tours to Namibia. Go to namaquatours.com for more information.